​The D.P. Thompson School located at Borthwick and Shaver opened about 1899. D.P. 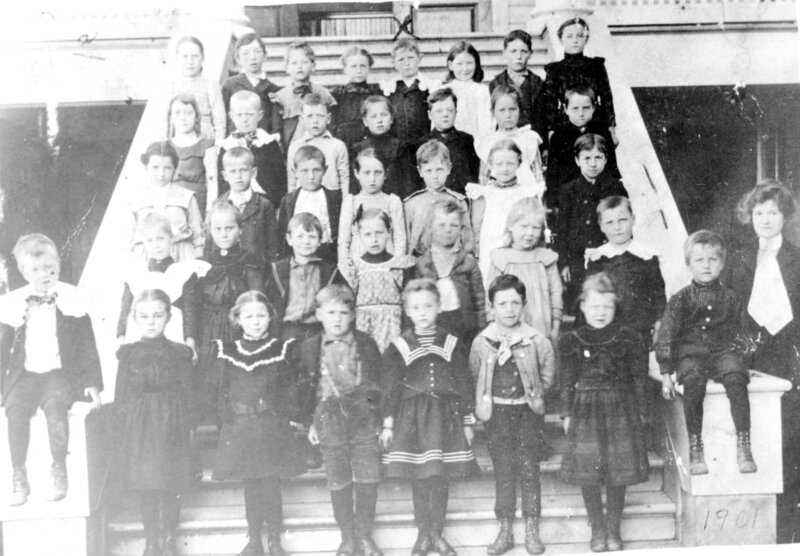 Thompson School class of 1901. Left to right beginning at the bottom: Row 1: Esther Peterson, Albert Lish, Mary Thayer, Handel Evans, Essie (?) Leary, Coe McKenna (?). Row 2: Magarer Gantzen, Fred Montag, Freida Bleick, George Kennan, Sadie Johnson, George Thomas. 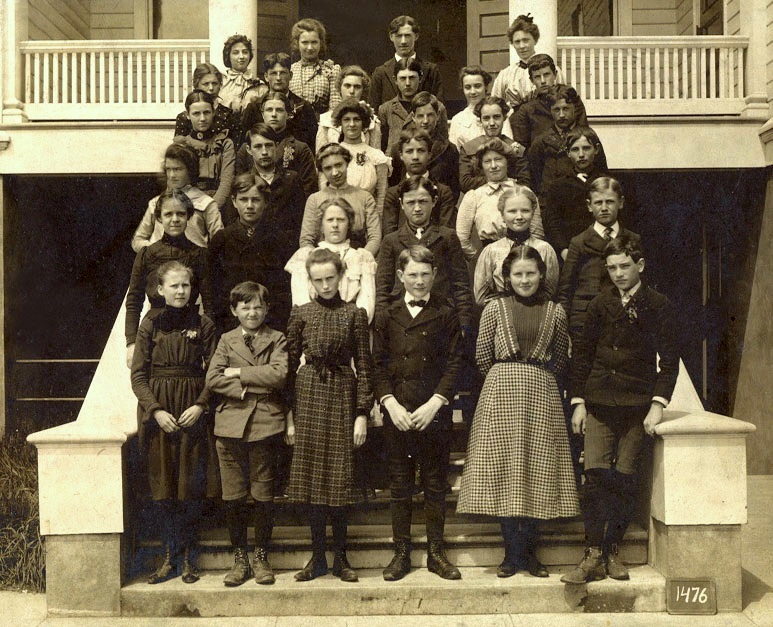 Row 3: Olive Ralph, Victor Biersdorf, Genevive Snelling, Earnest Voelker, Nellie Church, Charles Norton. Row 4: Katy Hald, Noah Fredericks, Marie Brill, Earl Sparks, Duella Begur, Robert Gates. Row 5: Mabel Golvoson, Victor Sparks, Tillie (?) Hickey, Willie Baily, Gertrude Stoppes, George Grayson. Row 6: Selma Reimer (? ), Winifred Young, Jay Kalen, Miss Sawn Myers (Teacher). Photograph and information courtesy of Meg Drye. Meg’s grandmother, Marie Brill, is shown in this photograph.